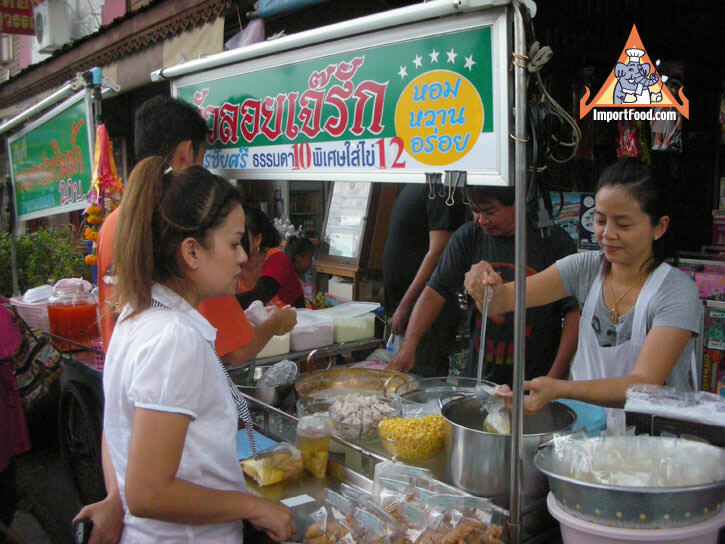 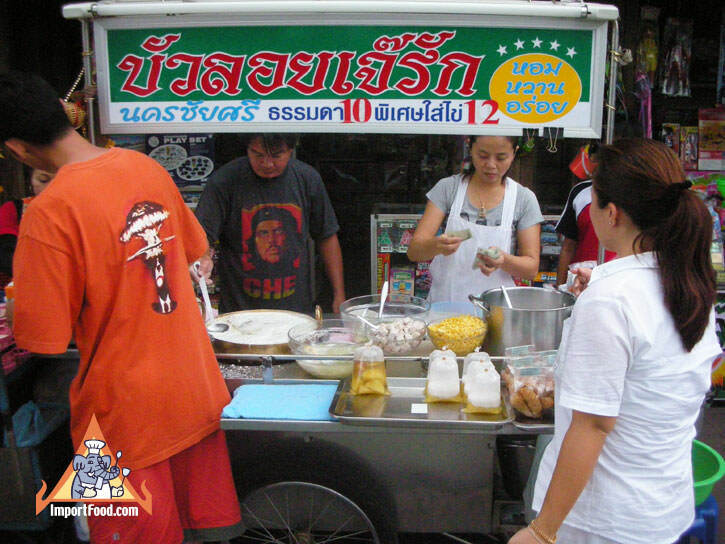 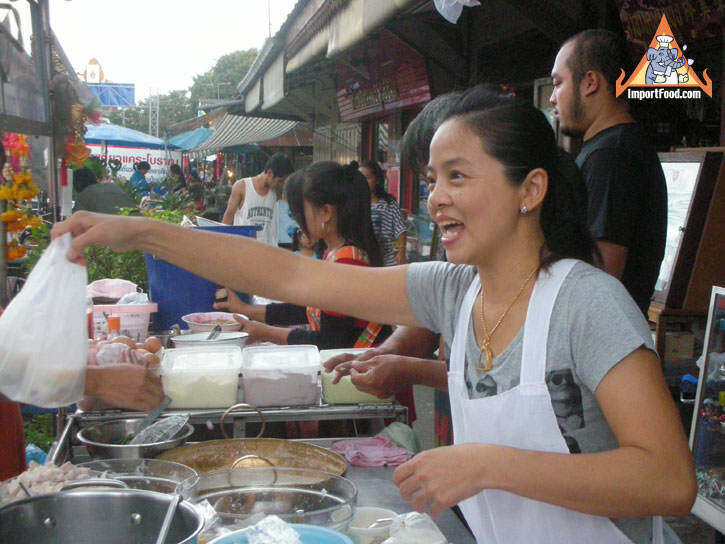 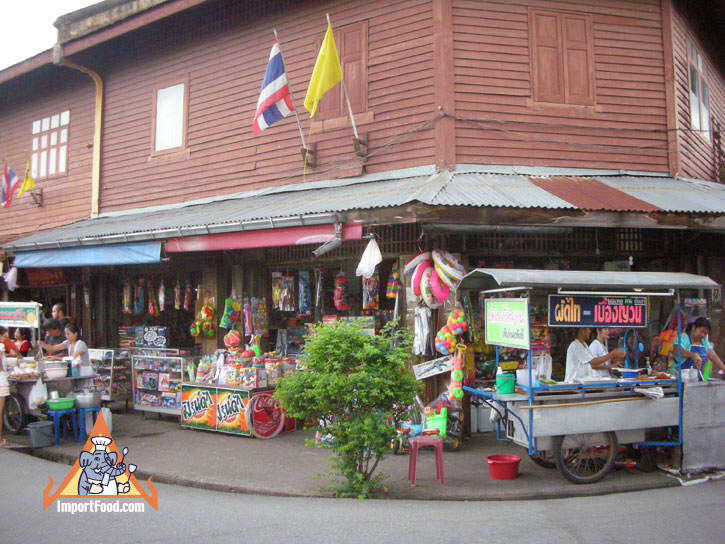 This sidewalk vendor offers the sweet Thai dessert Bua Loi. 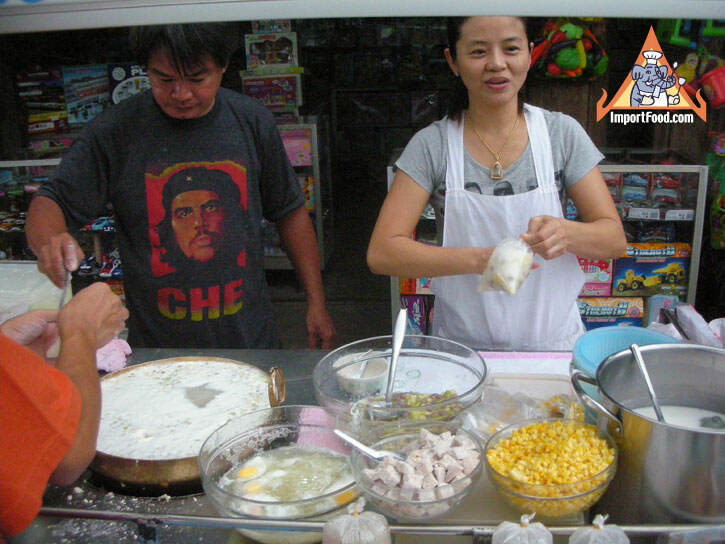 She uses the classic brass wok, and prepares the bua loi with egg, taro and corn. 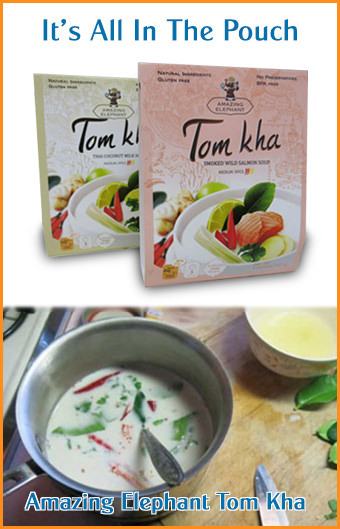 See our recipe for Bua Loi.